Used 2014 Volkswagen Jetta Sedan 4dr Auto SE PZEV for Sale in Lebanon PA 17046 Adams Auto Sales Inc. 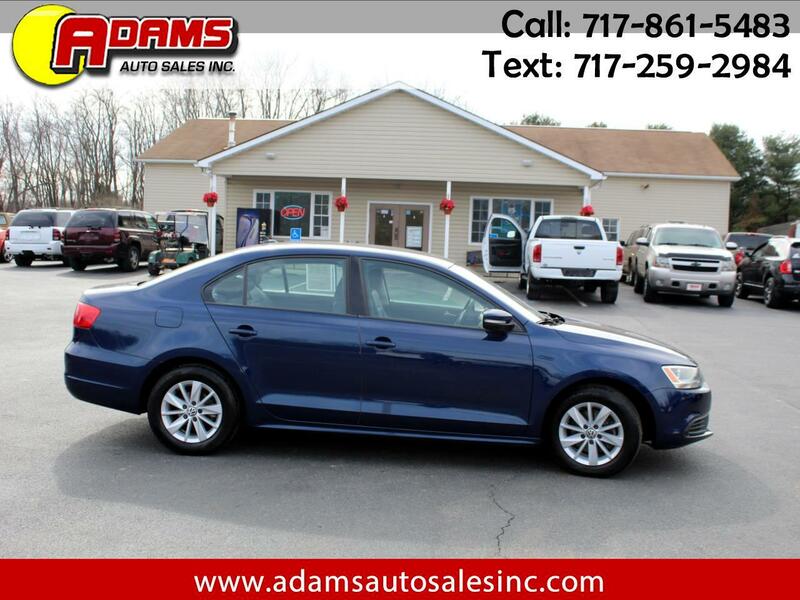 This beautiful blue 2014 Volkswagen Jetta SE sedan is a must see! It is equipped with a 4 cyl 1.8T iter engine and an automatic transmission. It has bluetooth wireless, keyless entry and alloy wheels. It has heated black leather seats. The blue exterior and black interior are in excellent condition. Well maintained inside and out. Only 111,463 original miles. Brand new inspection and emissions, good thru February of 2020. It comes with a 3 month / 4,000 miles (whichever occurs first) powertrain warranty. Ask a salesman for more details. Stop in and take the Jetta 1.8T SE for a test drive today before someone else drives it away for good.